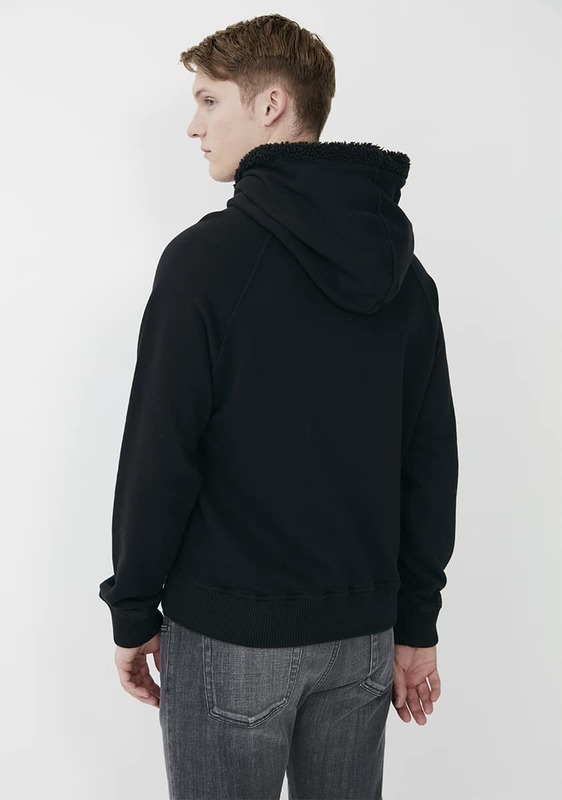 Mens easy fit hoody with signature denimsmith embroidered logo and ribbed cuff finish. Black Deluxe sherpa lined hoody with unbrushed fleece outer. Pre-washed for a soft hand feel.